Small hands, big necks — Chubbuck Guitars :: making & repairing Guitars in a old building just north of Boston, Mass. This post is going to be a little different from my previous ones. I'm going for more of a photo-essay approach here. Simpler is better, right? Please let me know if you like this style better in the comments below. A good customer of mine brought in one of his student's guitars on his last visit to the shop. The student was having difficulties fretting her vintage Goya classical guitar as she has smaller hands. Most classical necks clock in at 2 inches at the nut, which is much wider than most modern steel string fingerstyle guitars. 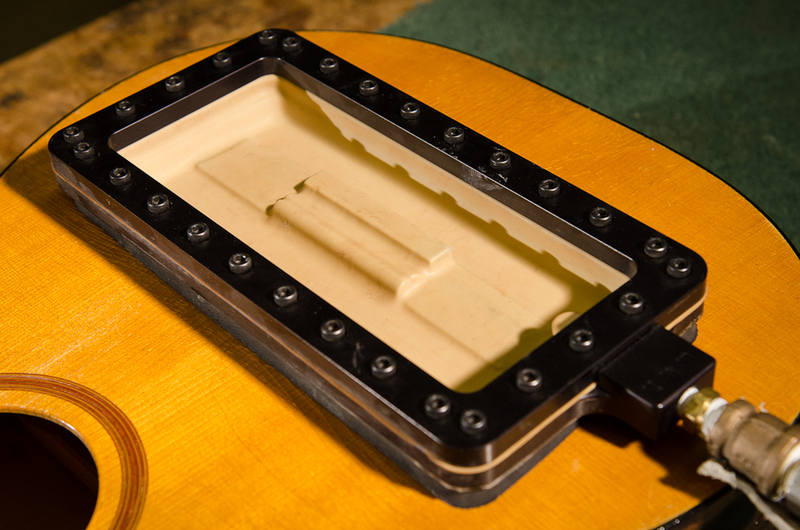 1 - 3/4" to 1 - 13/16" nut widths are common in the steel string world. I know that this is not a steel string guitar. 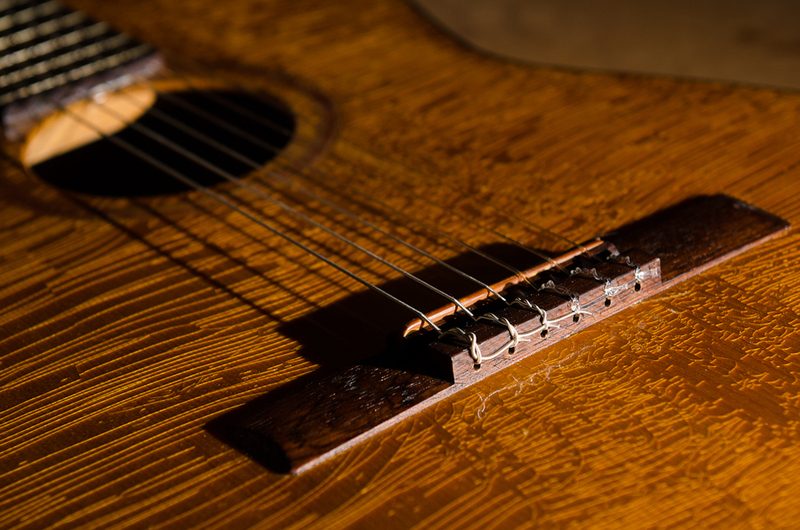 Classical guitars are different from steel string guitars. I'm right there with you - if you want something that plays more like a steel string, then get a steel string. But this player loves her guitar and did not want another guitar. She just wanted her guitar easier to play. Making an instrument mesh with a player's style is the ultimate goal of every guitar that comes across my bench. So we want to make this guitar easier for her smaller hands to accommodate. We decided to go with a new nut laid out with spacing found on a 1 - 3/4" neck. I thought about it and realized that just merely shrinking the strings in on-center would space the high e string in way too far in from the edge of the board. What if we just left the high e string where it was and squeezed the rest of the strings in towards it? 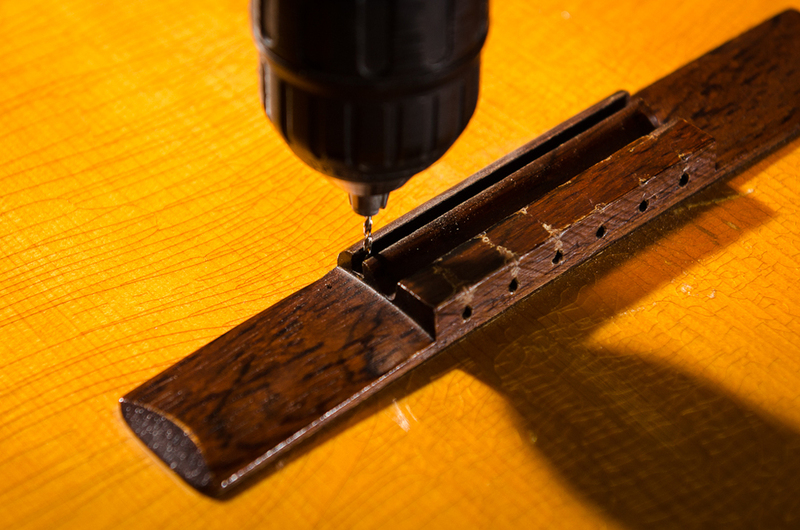 First I noticed that the bridge glue joint was failing, so I addressed that before making a new nut. Pretty wild, right? I think this is an elegant solution to the problem. Just as long as the student doesn't fret any chords with her thumb.